This is a big one and you know it! 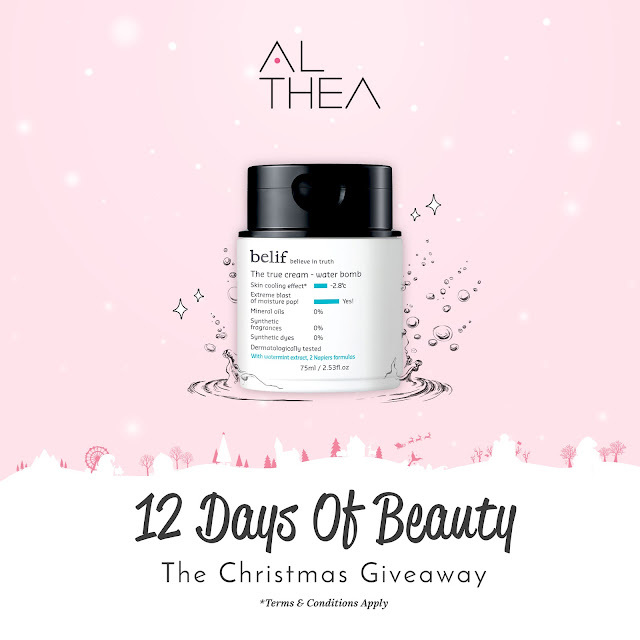 For the grand finale of our 12 Days Of Beauty, we've picked 50 winners to win a True Cream Water Bomb from Belif (75ml) worth USD36 each. Here are the lucky winners! Please email over your postage details (full name, postage address and phone number) to sydney@althea.kr by the 25th of January 2018. Congratulations, winners! Be sure to keep an eye out for out future contests and giveways. Until then, happy shopping! Huhuhu. I didn’t win anything from this 12days of beauty. Anyhow, thanks Althea for your generosity and also to your sponsors. Congratulations winners.